This is a scene we've been working on for months, now. There is a photo I'm trying to duplicate for the Then and Now Series. A Flickr Friend named, Okinawa Soba, gave me a black and white photo of this scene. My goal, is to recreate the photographic shot, as it was originally made. The photo, from his collection, was taken sometime, before World War II. Shuri-jo Castle was leveled by bombs, during that war. The reconstruction of castles, on this island was accomplished by looking at old photos and sketches. It amazes me, how much the re-constructed buildings, look like the originals. So, I try to do the best I can at duplicating the old photos. The light, has to be right. And, if there were people in the scene, I try to get someone to pose, in my photo. Lighting was perfect, when I shot the image above. Along came a couple, visiting the castle and, I got them to pose. Then, the clouds, that were blocking the glaring sun, drifted away and ruined my shot. The couple, were really nice, posing in the hot sun, for me. They signed model releases and I emailed them the best photo of the day. 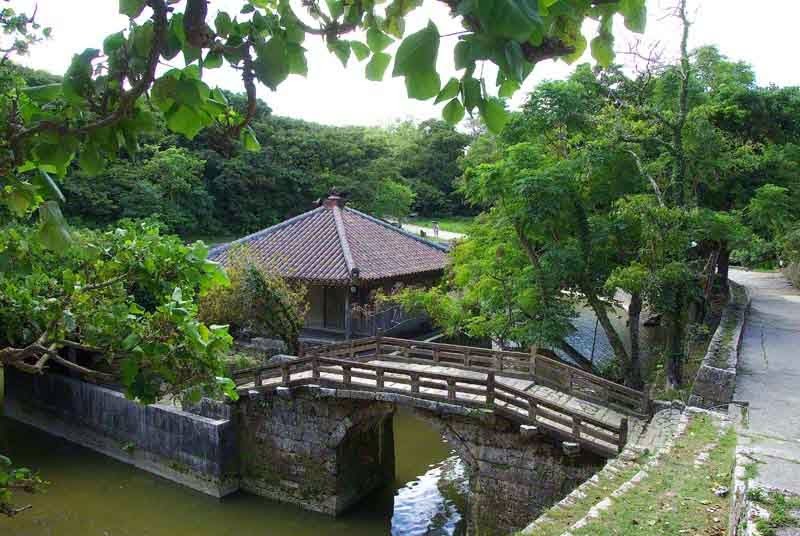 But, Shuri Castle Pond's Then and Now will have to wait. As stubborn as a mule, I'll keep going back to that castle again and again and again. When the light is right and I get the scene the way I want it you'll know. That's because I'll post it here and yell, "Gotterdun" !